Flowers unearth the emotions that inspire and fulfill the human spirit. Using color, texture and shape, flowers create the stimulus to unleash the heart and create an environment that engages the soul. Flowers make life's special events unique. Flowers enhance the excitement of guests and express the feelings of the hosts. 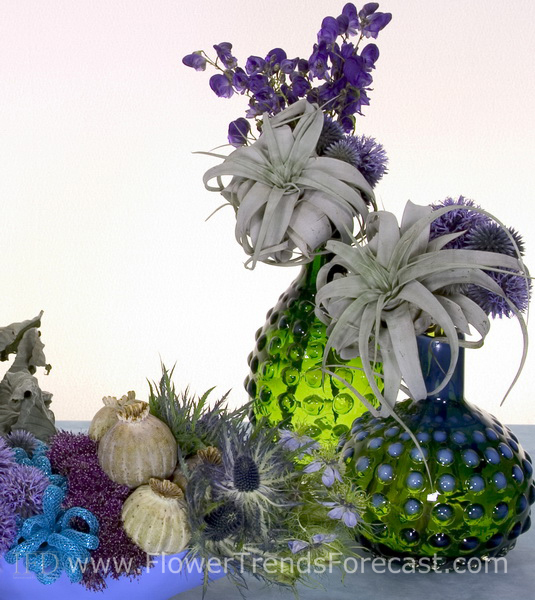 Flower Trends Forecast provides the inside look at today's flower trends for events; types of lowers, flower colors, bridal bouquets and floral design stlyes for weddings and other events.